It can happen to even the greatest of chefs, finding vegetables and fruits that have been left in the crisper or fruit bowl a little too long, looking as unhappy as the lucky person who discovered them. In 2012, The Washington Post reported Americans discarded 14 to 25 percent of the food they purchased. Of course, that includes packaged foods that may have expired, but most likely there were some fruits and vegetables in there as well. In addition to household waste, the Natural Resources Defense Counsel discovered that grocery stores discard six billion pounds of plant foods per year, simply because they’re not pretty enough! Vegetables go limp due to dehydration. Since most fresh vegetables are over 80 percent water, their cells loose rigidity from evaporating water reserves once they are picked. And because refrigerators are dry, this process is sped up. To revive droopy or wilted produce, we simply have to give them a drink (or a bath). Place your neglected vegetables, including leafy greens like lettuce, in a bowl filled with cold water, and let them sit for about 20 minutes. It’s also possible to place your droopy greens or celery upright in a jar or glass of water since they can absorb more water through the stem. For fibrous produce like celery, carrots, and Swiss chard, you’ll want to cut a little off the end. It’s also important to note that you should first cut off any brown parts. Your vegetables will be rehydrated once they seem crisp again, so keep in mind you may have to repeat the process. There has been scientific debate as to whether you need to add something extra like salt and vinegar, but Kathleen M. Brown, professor of plant stress biology at Penn State University, found water works fine by itself. She also notes that soaking vegetables should be stored in the refrigerator rather than the kitchen counter since a lower air temperature does not create as much moisture loss. However, this method does not work with all vegetables, such as zucchini, which tend to get moldy. The Greater Chicago Food Depository notes bruised fruits such as peaches, apples, and plums are completely usable – all you have to do is cut the bruised areas off. Bruising usually occurs from mishandling and does not necessarily mean the fruit is spoiled. In the case of melons, if only certain parts appear soft, it is probably still good. Always check the inside before discounting it. If it is growing mold or otherwise looks fuzzy, that’s a clear sign you should toss it. Bruised citrus fruits like lemons and oranges are still edible as long as the bruise is only on the rind and has not affected the flesh. Smaller fruits like grapes and berries can still be eaten as well, and may often appear spoiled when really they’re just bruised. Pick through the container or bunch, and discard the pieces that are obviously bad. While some molds can cause respiratory problems, allergic reactions or contain mycotoxins that can make you sick, hard vegetables like carrots, peppers, and cabbage that might appear moldy can be salvaged. The USDA believes it is perfectly safe to cut the moldy areas off these foods (including a one-inch area around the bad spot) since dense foods are more difficult for molds to penetrate. However, soft foods like cucumbers, tomatoes, and peaches should be discarded if moldy, since their higher moisture content and soft flesh is easier for mold to penetrate. If your produce has reached the stage of a liquefied mass lurking in your crisper, dispose of it. Unfortunately, it’s past the state of no return. This also includes items that are slimy, have dark spots all over, have drastically changed color or have a foul odor. Clearly, your vegetable crisper does not have to be an embarrassing graveyard of neglected produce, but if you feel guilty throwing out food, you can always start a compost bin, or utilize your non-moldy vegetables to make The Best Vegetable Stock. 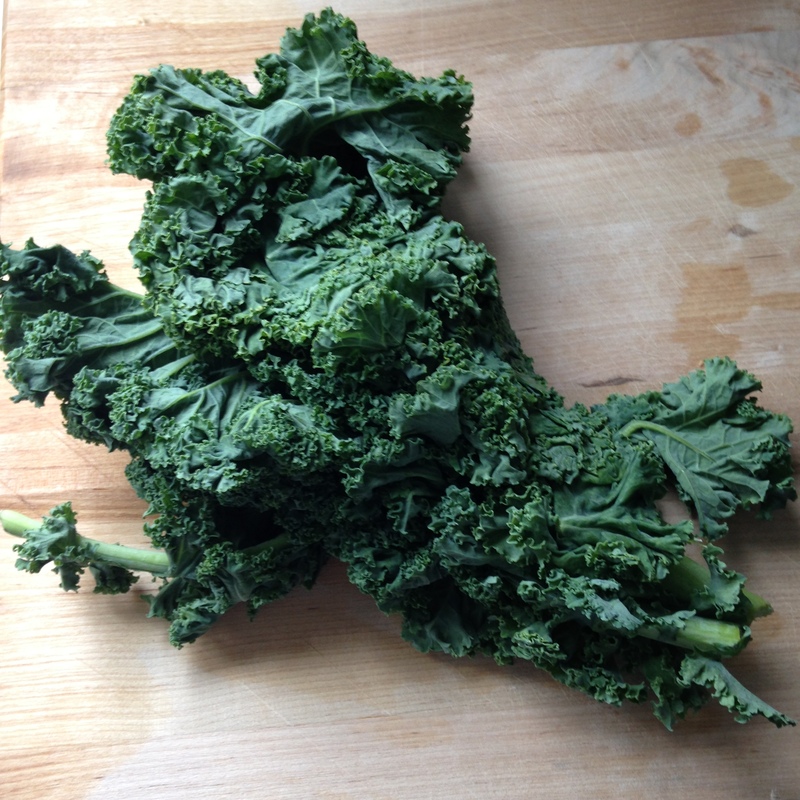 With a just a little TLC, you can easily turn your wilted kale into a wonderful salad to thrill even the greatest of chefs and leave your pride unbruised.